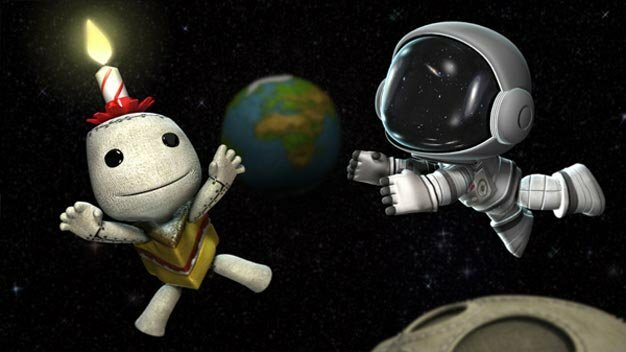 Media Molecule is celebrating the first birthday of LittleBigPlanet by giving away a couple of Sackboy costumes this week. In honor of LittleBigPlanet’s first year in the creative world, a special Birthday Cake Costume, complete with a candle headpiece and cake suit will be available for download starting this Thursday on PSN for just one week. Media Molecule will also be re-releasing the Space Suit Costume, which was originally released during the game’s launch last year. Both costumes are free of charge so there’s no excuse to not celebrate LittleBigPlanet’s birthday with some new duds for your Sackboy or Sackgirl. Media Molecule promises to have a few other surprises in the next few weeks to keep the festivities going, too. Happy Birthday!